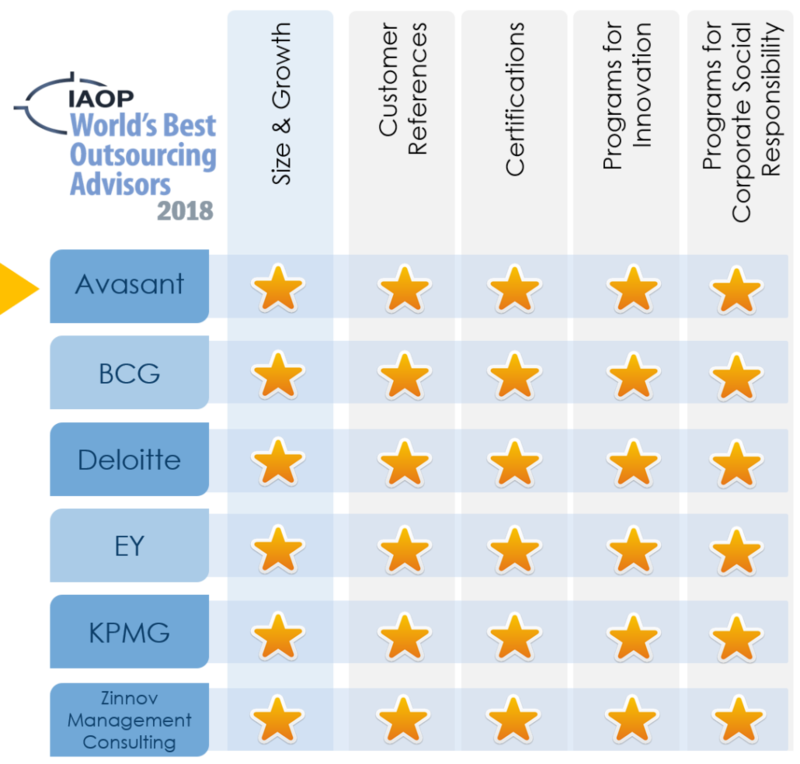 Avasant is proud to have been ranked among the top 20 of IAOP’s “World’s Best Outsourcing Advisors” by IAOP for the tenth consecutive year. orate Social Responsibility”. The judges’ panel featured industry-recognized leaders, including the CEO of IAOP, Debi Hamill. The panel evaluated candidates based on measurable standards that determined their commitment to excellence. “Industry recognition from bodies as prestigious as IAOP is a great nod to the direction of our work and our commitment to delivering excellence across all of our service areas,” remarked Avasant Global CEO, Kevin S. Parikh. The World’s Best Outsourcing Advisors list with distinguishing stars is featured in the June special Fortune 500 issue of FORTUNE® magazine. The full list can also be found here: https://www.iaop.org/Content/19/165/4988.